The Enrichment Widget is a great way to see actionable data points, with person attributes displayed on the left and company attributes on the right. We recommend for the widget to be set up on all three object types. The good news is that once you (the team's System Admin) have done so, the widget will become accessible to all users with Clearbit licenses. Note: the widgets are not required for Clearbit to auto-write into blank standard fields, enrich custom Clearbit objects in the background, or map Clearbit data to your Leads, Contacts, or Accounts. This is our premium widget and it automatically displays the most popular Clearbit data directly onto your Leads, Contacts, and Accounts. The displayed data is pulled through a live web-crawl through 200 sources every time you view a record - the process takes 2 to 3 seconds to load and this ensures that the data you see is fully up-to-date. Open up a Lead / Account /Contact view. 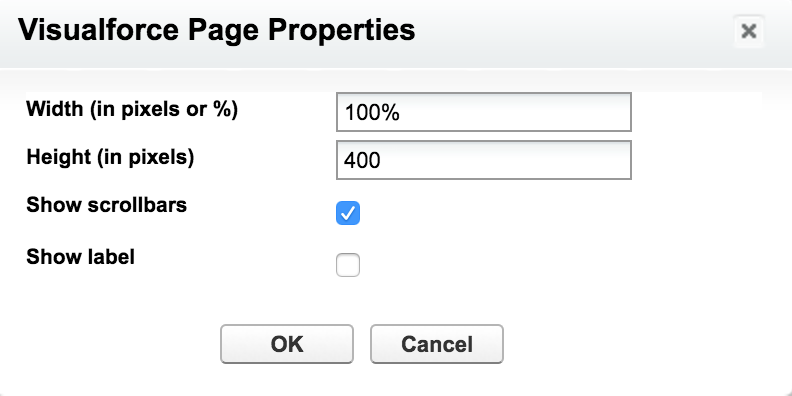 Find Visualforce Pages and drag a Section into the layout below. Name it Clearbit, then check the 1-Column radio button. 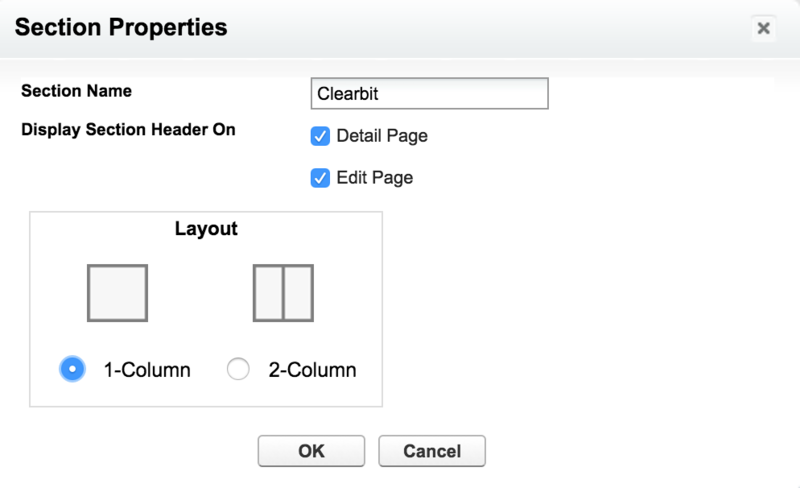 Drag the Clearbit Widget into the section you've just created, then double-click the widget to adjust its properties. Change Height (in pixels): 400 and [x] Show scrollbars. You'll need to set the Clearbit widget up for each object type, but the good news is (as the System Admin for your team) once you've added the Clearbit widget onto the Lead, Contact, and Account views, your entire team will be able to see these changes. The social bar fits perfectly at the top of a record and provides quick links to a prospect and their company's social media profiles. Note: the Social Bar requires the presence of the Enrichment Widget for a live refresh. Open up a Lead / Contact / Account. Find Visualforce Pages and drag the Clearbit Social Bar into the Lead Information section. Double click the Clearbit Social Bar widget to adjust its properties. Change Height (in pixels): 35. How do I grant a Clearbit license for my Salesforce users?